Good News for AdSense Publishers, Google has introduced New 300x600 Ad unit for publishers. 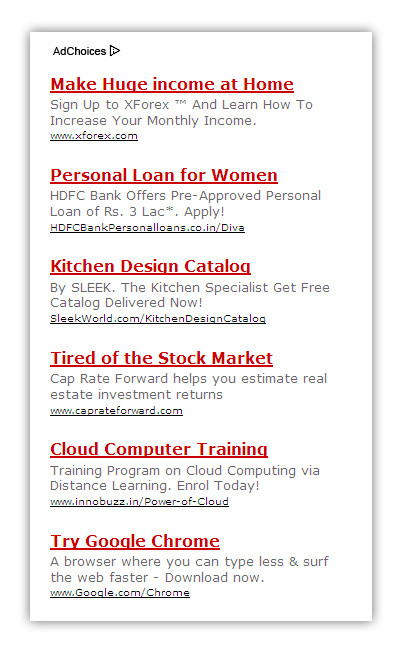 This kind of Ad can be placed in Blog sidebar and can attract a lot of attention from visitors. 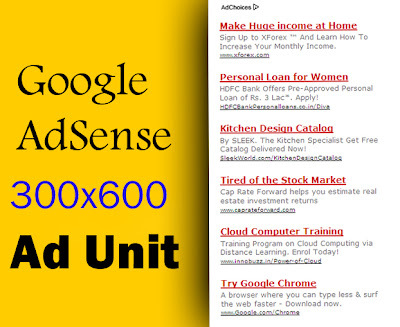 This Ad unit will help you earn more income from AdSense program. Many Ad Publishing Networks offers 300x600 Big Skyscraper Ads except Google AdSense but now AdSense also offers that size. You can already see that Ad unit running on my website, It looks great and also increases income which is the best point. Adding 300x600 Ad unit is not a big task, It is as simple as adding other Ad units. Here is a step by step guide. Step 1: Login to your Google AdSense account. Step 4: Save and Get Code. Step 5: Now Implement that code on your Website/Blog. How to Implement 300x600 Ad Unit on Blogger Blog. Step 1: First Get your AdSense code using the above guide. Now the Ad unit will start running on your blog. 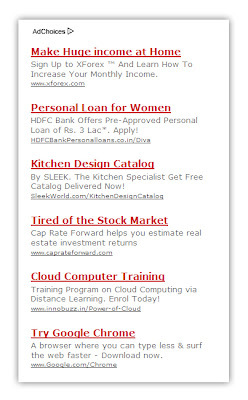 Note: You cannot Place more than 3 rich media Ads, 3 Link units and 2 AdSense for search units on one page. Hope this was helpful, I would recommend this Ad unit to everyone at least to those who use skyscraper ad units. This will really boost your AdSense income.